Harris takes great pride in producing the highest quality gas equipment and consumables. Years of research and development combined with the knowledge of our engineers and staff make it possible to manufacture unrivalled products that excel in the areas of safety, efficiency, performance and durability. 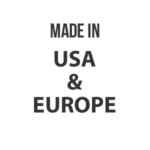 All Harris Gas Equipment is manufactured to the highest standard in our world-class facilities in Mason & Gainesville, USA and Dzierzonow, Poland. Each is ISO 9001 certified for quality management systems and ISO 14001 certified for environmental management systems. All Harris gas equipment comes out of these state of the art factories, there is no exception to the rule. The reputation Harris has forged over the years has seen unethical responses from some competitors attempting to hijack the unquestioned Harris quality, producing counterfeit and imitation products claiming to be Harris products or Harris style, even using the same product codes. These imitations are not made to the same standard, nor tested to the strict regulations that Harris stands by. Harris Products Group Australia & International take these product breaches very seriously and take necessary action to stop fraudulent product being distributed on the market. If you are ever sold or persuaded into buying a product claiming to be Harris or a copy that claims to perform like the original, ask them to demonstrate the products and see the difference for yourself, before someone in your workplace or at home suffers the consequences of a non-compliant product. Contact Harris Products Group Australia if you feel you have been sold a fraudulent product.